- Mainly Used for Pigmentation Removal, Acne Scars, Freckles, Skin Whitening, and Tattoo and Birthmarks Removal. - Most Innovative Pigmentation Laser in the market. - 100% Painless, Sensitive Skin Friendly & No Downtime. - Instant Visible Results, after only 1 treatment. Pigmentation, Freckles & Scars reduction. Skin gets 1 tone fairer. Reduction in fine lines & pores. 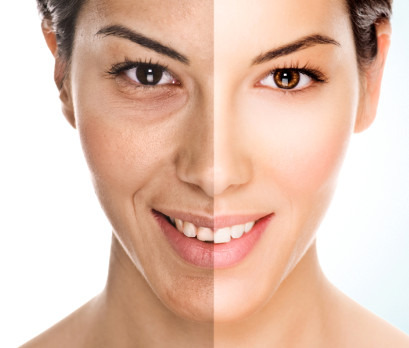 High light energy targets the specific area of pigmentation, the laser is absorbed only by cells containing an excessive concentration of pigmentation. This causes efficient destruction of melanin (dark particles) while leaving the surrounding tissue undamaged. 6. Day Care & Post Consultation.